From Marie Rime‘s Masques and Armures projects. Many extensive photo galleries of Chinese art by Gary Todd here. Own photos (hence glass reflections) from the great Hahoe Mask Museum in South Korea. There’s a korean only catalogue of their collection here. 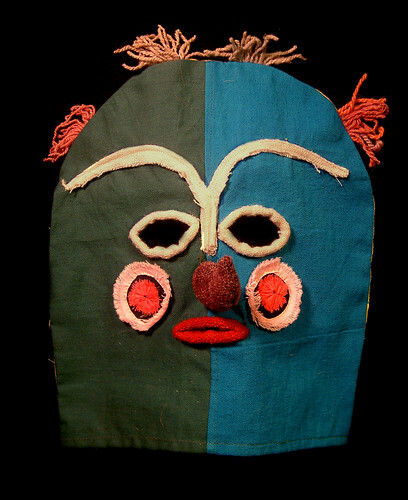 Small Yurupari Mask, originally uploaded by EYE-talian. 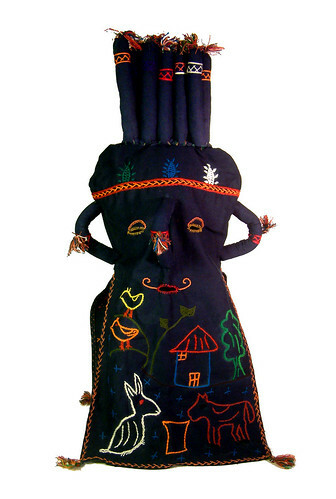 Bolivian Hood Mask, originally uploaded by EYE-talian. 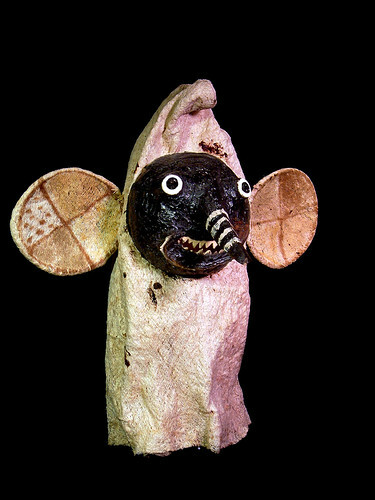 Peru Hood Mask, originally uploaded by EYE-talian. A tiringly goodly collection of mainly African art here. Are the best masks from Nigeria? YES! I did a search for Sri Lankan devil masks and came across this nice collection of masks of the world.